In a lot of ways, we’ve been waiting for this story for over 75 years. In part two of “Rooftops” we finally find out about the 237 people that Selina Kyle allegedly murdered. But not before shine and Bruce Wayne each make a bold statement to each other. Then Selina runs. Because she’s Catwoman, and Catwoman runs. Have Batman and Catwoman ever said that to each other? The canonical Batman and Catwoman? Without it being a dream sequence or anything? I’ve read a lot of Batman comics over the years, and I can’t remember it happening. It’s an amazing moment (shown below). And it’s not just the panels where they say it. It’s the panels between the panels. The silence. Selina’s face. The little smile on Bruce’s face in the last panel. The blue lighting. It’s beautiful, it really is. I mean, c’mon. COME ON. These are moments you want to see from characters who’ve loved each other in silence for so long. As readers we know they’ll never really be together. But seeing them get those feelings out in the open is tremendously satisfying. Especially for those of us who’ve been reading about these characters our whole lives. 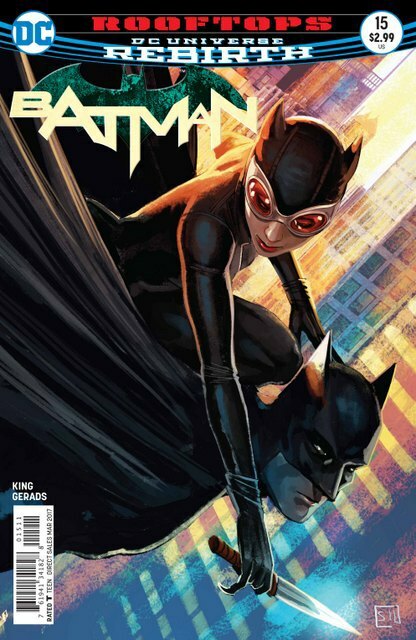 King and Gerads also have a little fun with Catwoman’s history. Bruce and Selina disagree over what their first encounter consisted of. Bruce’s recollection matches up with 1940’s Batman #1, where “the Cat” dresses up like an old lady for a diamond heist. 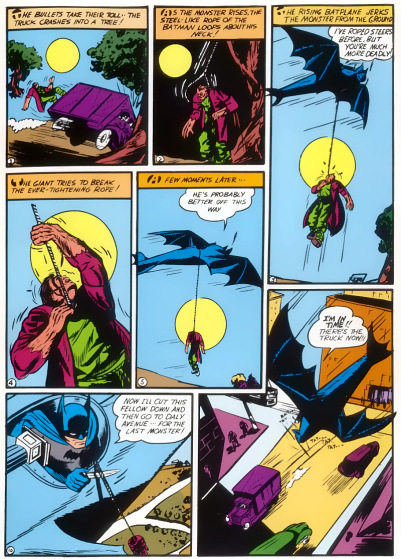 Selina’s is the Batman: Year One encounter, where Bruce tries to save Holly Robinson from an angry pimp. Gerads even mimics the art style from both books. Given the weight what we see in this issue, it’s very fitting. This is, I believe, the debut of New 52 Holly Robinson. Whereas before she was an ally and protege of Selina’s, and even became Catwoman herself for a time, this Holly Robinson was responsible for the 237 murders that Selina took on herself. When the orphanage they grew up in was burnt to the ground, Holly took revenge using skills Selina had taught her. I was always confused by the whole 237 murders thing. But I was never of the mindset that Selina actually did it. There are likely some Holly Robinson fans that won’t be happy with this. 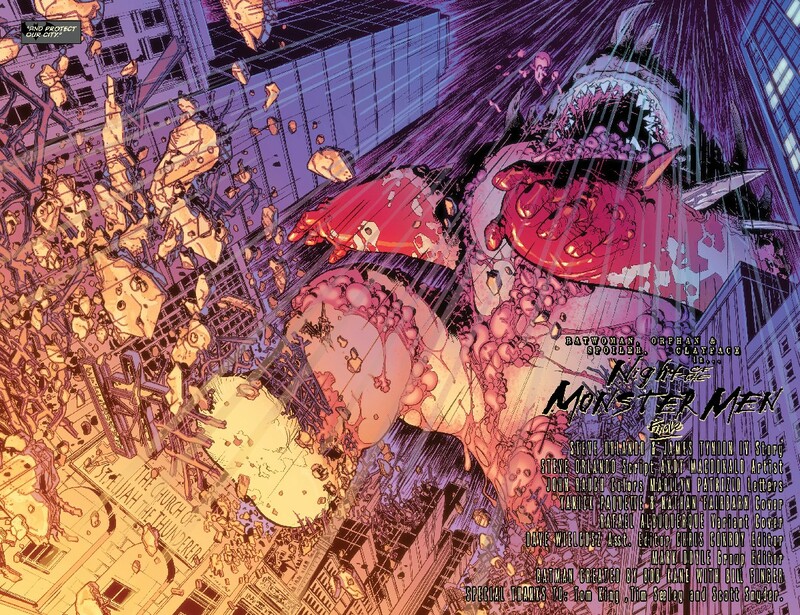 But at least she’s back, and this is something they can explore with Selina down the line. 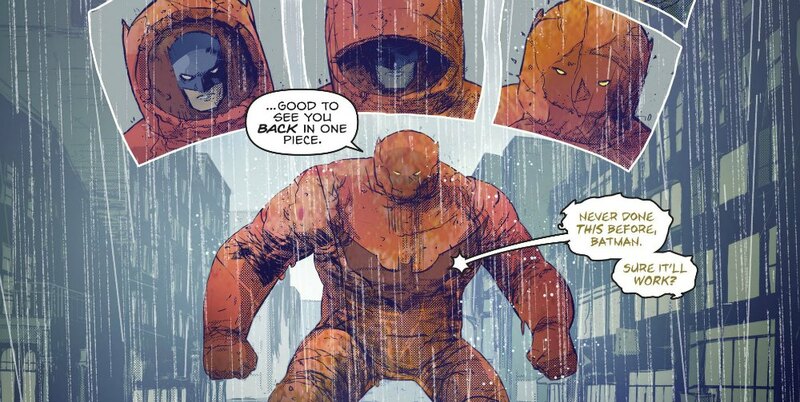 As with last issue, I give Mitch Gerads so much credit for the blues he uses to give this issue a sense of “mood lighting.” He’s also tremendous at jumping out of that lighting when we go to the origin flashbacks (shown left). The contrast in styles is a lot of fun. 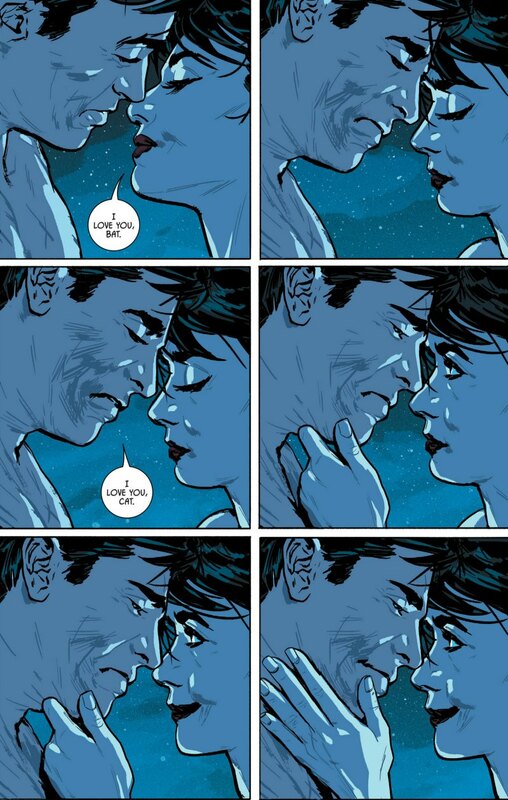 The work Gerads does with Selina’s face on the “I love you” page is obviously stellar. But he also draws a very distinct and expressive Holly Robinson. When we meet her, she’s got a case of bed-head, and her terror at being in the presence of Batman quickly turns to sympathy toward his plight. At least, that’s what we’re supposed to think it is. Batman is cast in the purple glow of the lights outside, while Holly is bathed in those gorgeous blues. 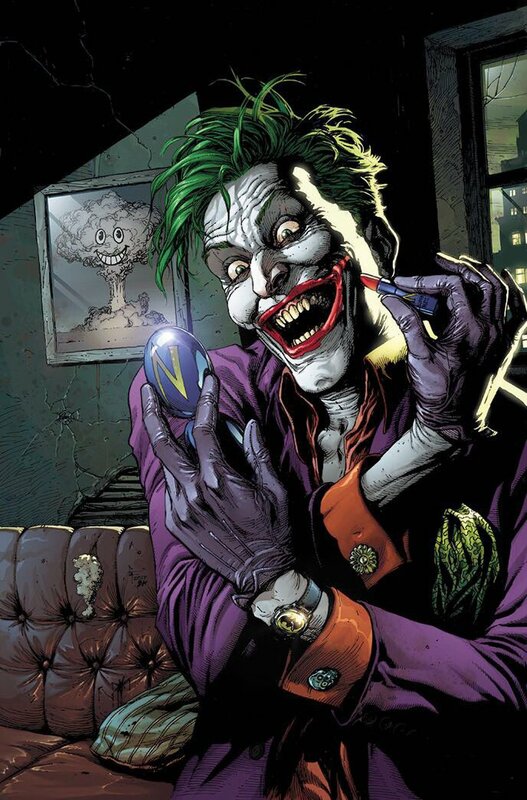 DC has published a bunch of “Greatest Stories Ever Told” trades dedicated to many of their iconic characters. Superman, Batman, Wonder Woman, the Joker, etc. 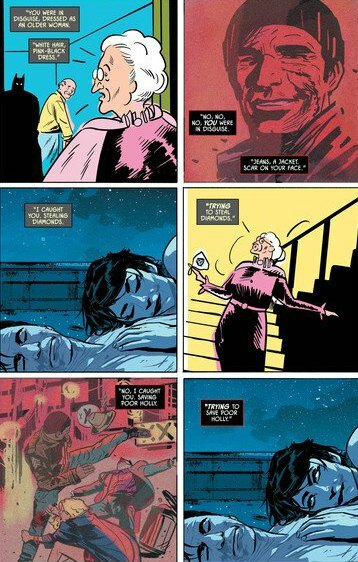 If there’s ever a Catwoman: The Greatest Stories Ever Told book, “Rooftops” belongs in there. One night argue it’s too early to make a prediction like that. 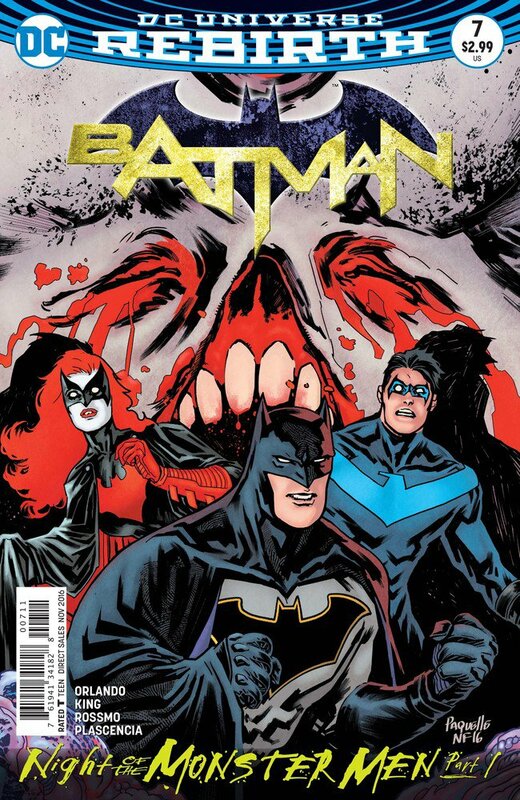 But at the very least, it’s the best work Tom King has done in 15 issues of Batman. We’re talking far and away, ahead by a mile, don’t even look back. It’s that superior. This entry was posted in Comic Books/Graphic Novels and tagged Batman, Batman #1 (1940), Batman #14 (2016), Batman #15 (2017), Batman comics, Bruce Wayne, Catwoman, comic book reviews, comic books, DC Comics, Holly Robinson, Mitch Gerads, Rob Siebert, Selina Kyle, single issue reviews, Stephanie Hans, Tom King on 01/22/2017 by primaryignition.